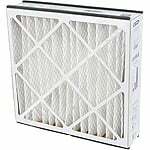 The Trion Air Bear Supreme 2000 Filter 20x25x5 is a whole house air filter with a MERV 11 rating that captures 90% of particles that are between 3 to 10 microns in size. 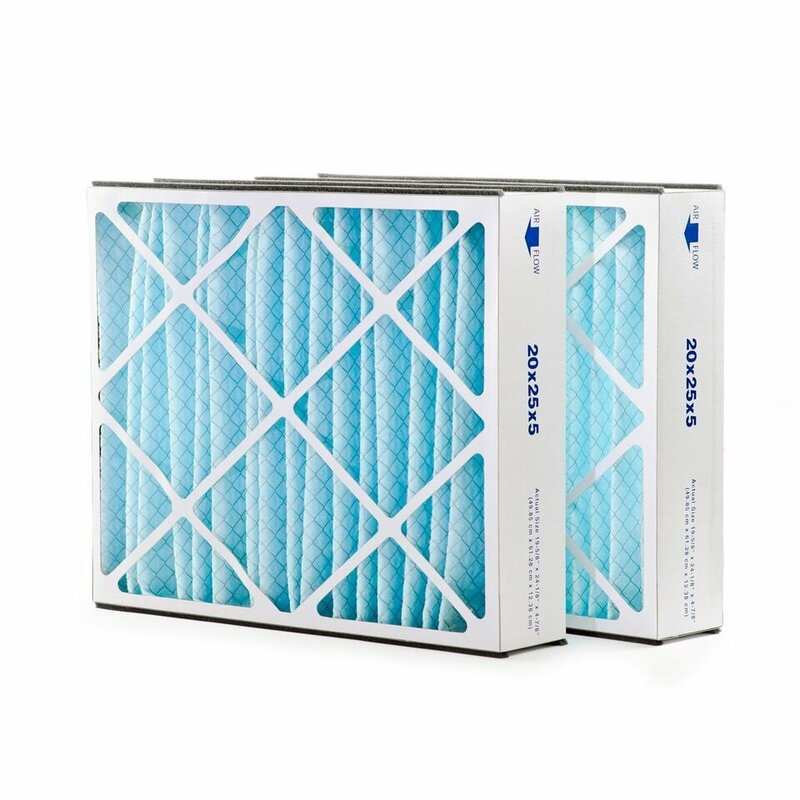 This air bear filter boasts efficient synthetic material that contains extended-surface pleats proven to have higher dirt-holding capacity than the competition. 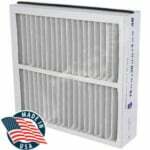 With its MERV 11 rating this furnace filter, also known as the 259112-102, can effectively remove mold, spores, pollen, and other airborne contaminants and is an upgrade over MERV 8 Trion filters. This whole house filter is highly efficient and energy reducing. Nominal dimensions: 20" x 25" 5"
Actual dimensions: 19 3/4" x 24 1/4" x 4 7/8"
The Trion Air Bear Supreme 2000 Filter 20x25x5 is a replacement filter for the following: Air Bear 2000 Air Cleaner; Air Bear Classic Air Cleaner; Air Bear Plus 2000 Air Cleaner; Son of a Bear Air Cleaner; Air Bear Right Angle Air Cleaner; Air Bear Supreme 2000 Air Cleaner; Air Cleaner Model 435790-027; Air Cleaner Model 455602-525; Part number 255649-102; Part number 229990-002; Part number 229990-102; Part number 248713-102. 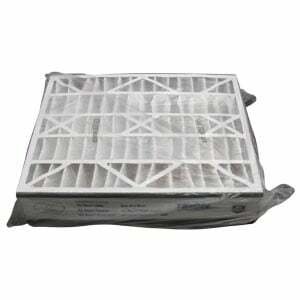 The FiltersFast FFC20255TAB 20 x 25 x 5 is the compatible replacement air filter for the Trion Air Bear 255649-102. 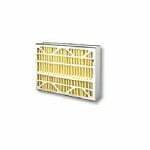 FiltersFast Air Filters provide quality air filteration without paying a premium price. The FFC20255TAB features a MERV 11 rating, which is an upgrade in efficiency from the MERV 8 Trion Air Bear. The MERV 11 rating also means this pollen air filter effectively reduces pollen, dust, pet dander, mold spores, dust mites and other allergens from your indoor air. Removing these airborne particles can help improve allergies and alleviate sinus irritation that can cause watery eyes, itchy throat, coughing, and sneezing. Aside from the health benefits, having a Filters Fast Air Filter in your home will also extend the life of your heating and cooling system by making it work more efficiently.